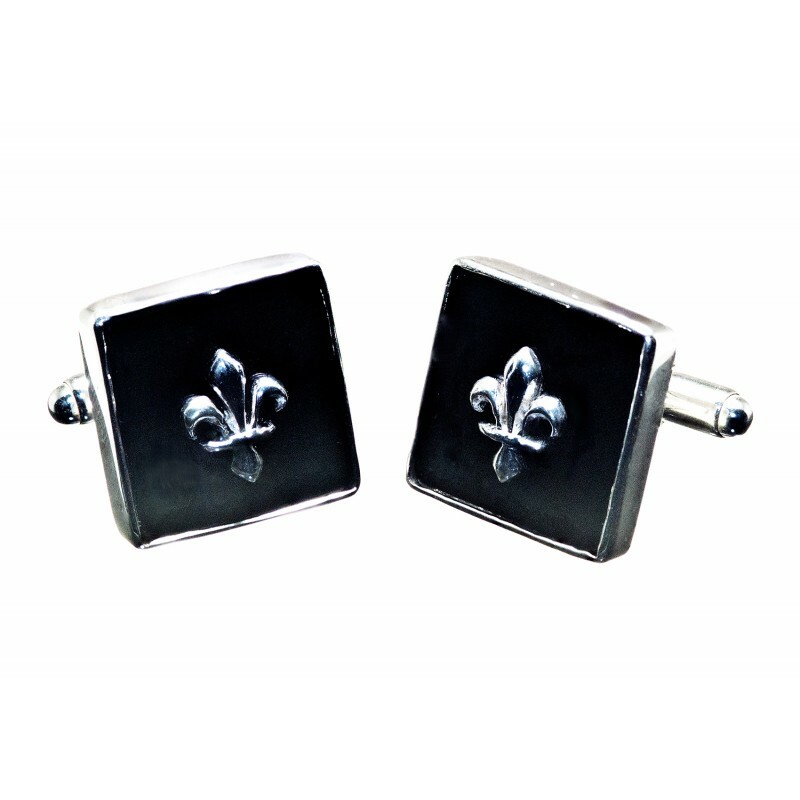 Handmade Fleur De Lys cufflinks with genuine black onyx overlaid with heraldic sterling silver Fleur de lys. 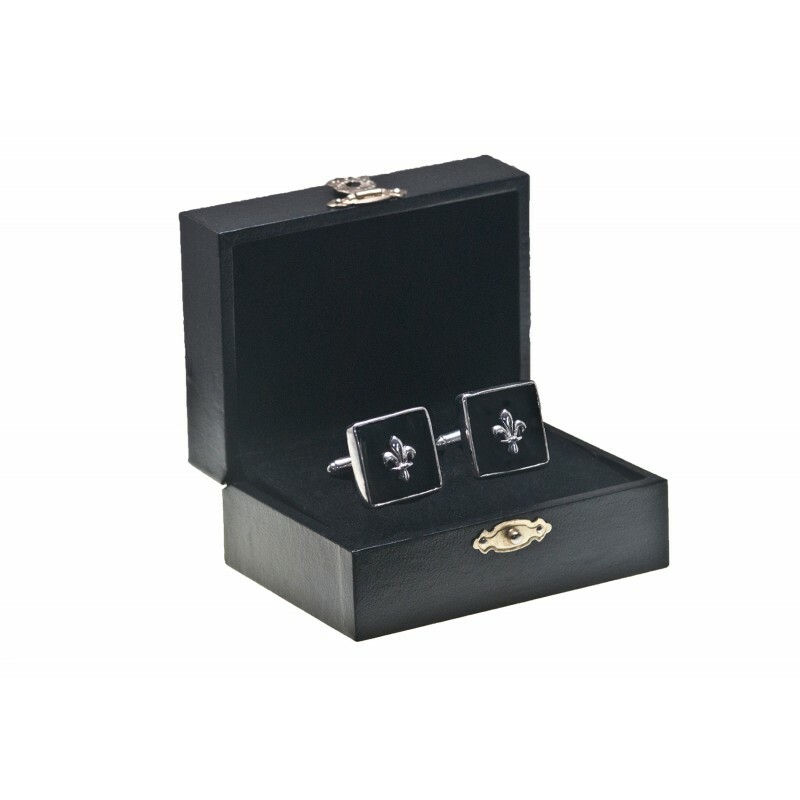 Superb Bourbon family Fleur De Lys cufflinks that are very smart for day or evening wear. 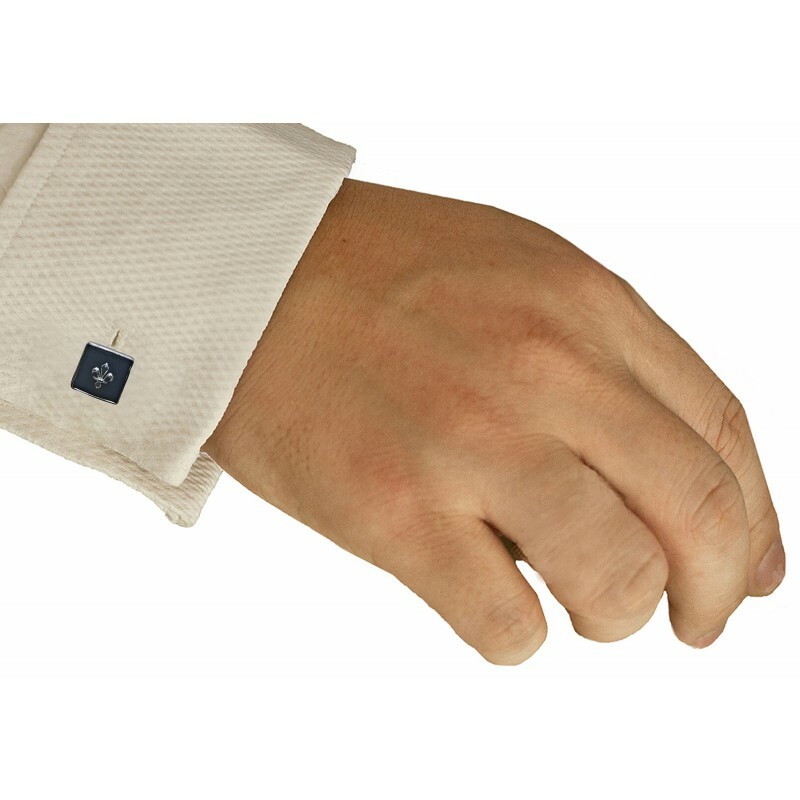 The perfect masculine gift especially for those of you who love France. The handmade squares of black onyx are mounted to sterling silver 925 easy-fit swivel attachments. 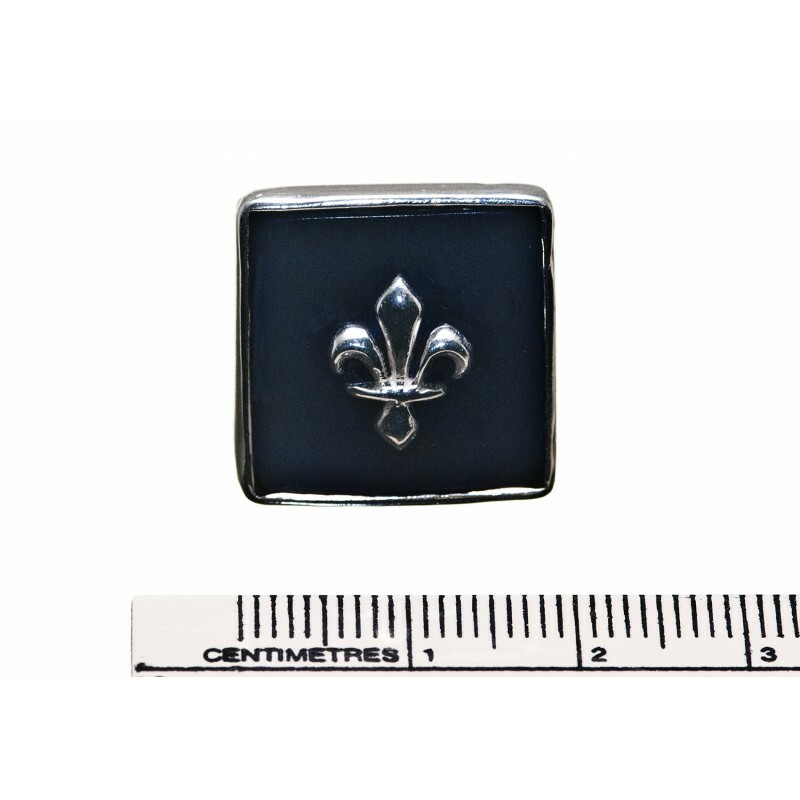 The black onyx squares measure 18 x 18 mm (11/16 x 11/16 inch).